Owning a vacation home is a dream that many people hold close and work very hard to achieve. However, holiday homes often come at a premium, thus understanding all aspects of your dream vacation home well in advance has several advantages. One of the emerging characteristics of holiday homes is that they thrive through the surplus of high-net income individuals. Unlike other properties, they are rarely hit by recessions or other market downfalls. To help you navigate the complexity of these coveted properties, here are seven tips to guide you through. In virtually all top-ranking travel destinations, there are holiday homes for sale. To settle on a place, think of the natural environmental beauties that make you tick. It could be the bountiful green bushy fields of African wildlife or the relaxed spreading calmness of the ocean. Natural beauty is one of the most inspiring ways of choosing a suitable vacation home. While at it, think of the infrastructure found in a particular location. These could be internet access, sanitation, road networks and other social amenities that are important to you. 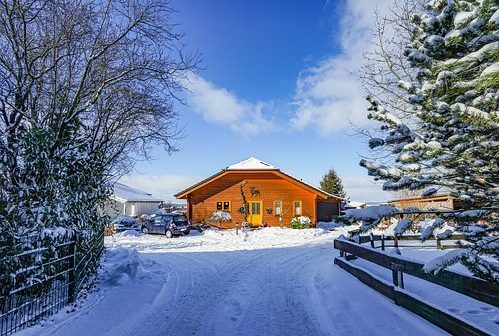 Choosing a location for a holiday home could sound obvious but several factors inform your choice. The amount of money you are willing to spend can actually determine where you purchase your vacation home. However, keeping your desires close is equally important. Once you decide how much you want to spend on a holiday home, make comparisons on available properties. This will give you an insight on to what various properties have to offer in terms of space and amenities. Budgeting for this purpose also helps you streamline other costs that may come along with the purchase. Researching on a holiday home takes several aspects. To start with, you scan the location to know whether it offers what you desire. Secondly, you make inquiries on the history of various properties. Some high -end holiday homes have ancient history and interesting chronological facts including various owners over the years. Some of these properties are top in their market because of such history. Such information is essential when buying a vacation home. Holiday homes in some locations come with standard appliances and sometimes furniture and other features. On the other hand, you might not like the furniture or some of the appliances that you find on them. You may also, for instance, need a lawn instead of a swimming pool and so on. Knowing what a vacation home offers gives you a chance to match that with what desire. Vacation homes are meant to be leisurely and inhabitants seek as much freedom as they can. They make them their paradise. Nonetheless, government policies such as environmental regulation on wildlife, noise pollution, waste management, construction among others are important factors to consider. While owning an entire island may be an individual’s dreams, the government may strict conditions pertaining to such a desire. At the same time, it is important to know the various taxes and other charges accrued from such ownership. For most people, vacation homes are a place where they run to rest mind, body and soul. These are not their day-to-day habitats. As such, they may use the homes just occasionally, In the meantime, some items on the property need to be kept in check. The cost of maintaining a holiday home must be a forethought to purchase. Consider whether you need an agency to manage or check on it regularly or an individual to live on the property. In the modern business environment, seeking information is pretty easy. The internet has solved a lot of time and place hurdles. There are reliable listings of property online where you can engage an agent for details. This addresses a big chunk of the information problem. The thought of owning a holiday home is thrilling and exciting. However, buyers seek an equally great experience and satisfaction from their investment, given that they commit a huge sum of financial resources to it. With the right information at hand, your journey to owning a holiday destination should be equally easy.